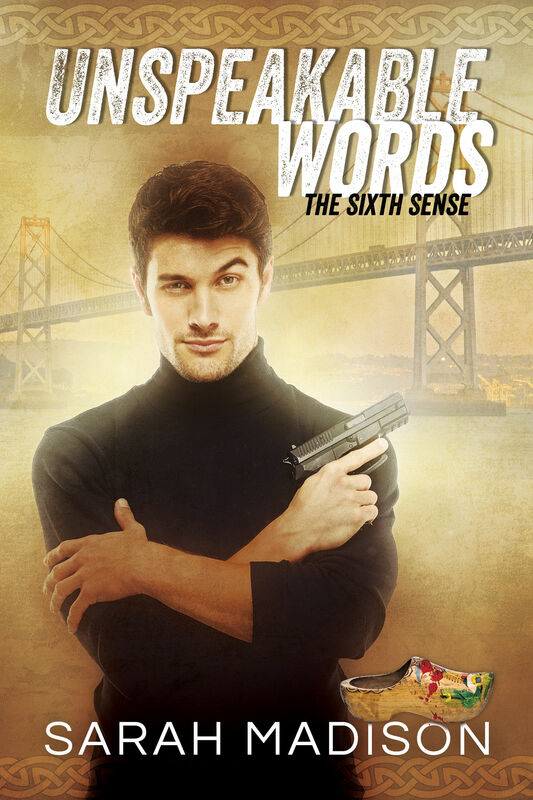 With one horrific explosion, psychic Investigator Flynn Adder’s world turns to rubble and the lives of everyone Flynn loves are put in the greatest peril he has ever known. And that is saying a lot, considering that Flynn Adder works for The Night Shift, a secret paranormal agency that keeps the lid on the activities of the weird, supernatural, and Fae. From werewolves to ghouls to trolls to magical objects, they all fall under the jurisdiction of The Night Shift, a world-wide organization created to keep humans safe and oblivious to the magical and mythical beings all around them. But the Chicago Night Shift headquarters has just exploded, killing most of the psych corps, witches, and other beings that made up the Chicago squad. Only a few escaped, including Flynn, his husband Jack, and a few of their colleagues. With the supernatural side of Chicago now left to their own devices and impulses,the City is helpless and defenseless. 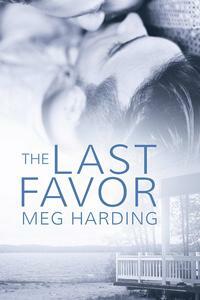 Added to the conflagration, the murderous culprit is on the loose and soon strikes again. Flynn, Jack, and the rest need help in order to survive and hunt down the person responsible for killing so many of their friends and colleagues. When the investigation start to lead back to Flynn and his family history, Flynn starts to realize that this case might cost him everything he has worked so hard to achieve: his sobriety, his lover, and their family. Well, this was a surprise. I loved this book and the entire Night Shift crew. 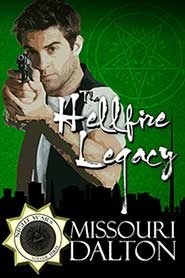 The Hellfire Legacy is the third (and possibly last) book in The Night Wars series by Missouri Dalton. I had reviewed book #2, The Night Shift, and found it wanting, primarily due to the last of back history and its cliffhanger ending. This book displays none of the issues I had with The Night Shift, and while it is part of a series, I found that this book could be read as a standalone and totally enjoyed as such. But I am getting ahead of myself. Let’s go back and look at the exposition of histories and backstories of the characters and events as related in The Hellfire Legacy. Even the characters seem more fully alive and have more depth than I remember from the previous story. Flynn, Jack, Simon, Howl, and the rest are all put to the test are they become not only the hunters but the hunted as well. Flynn’s personality and character is under such duress that his sobriety is threatened as is his stability to act as an investigator. 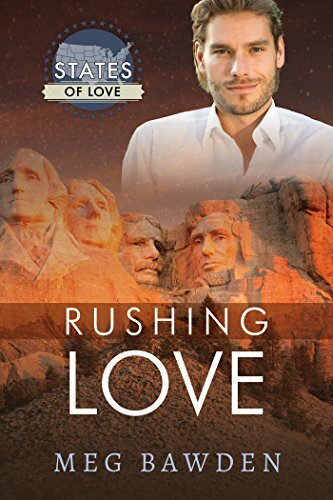 He is operating on no sleep, pain medication, and shear desperation and the author makes us feel every bit of his anxiety and exhaustion as Flynn stretches his physical and emotional resources to their limits. 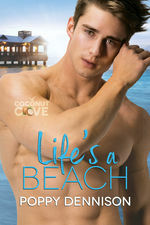 Really, the vivid descriptions of each character and their actions not only help to connect the reader on an intimate level to each person but to bring the story home to a deeply emotional degree because we have come to care for them all. In addition, we are given new characters to connect with that hopefully we will see again in future stories because they are that interesting and quirky. I loved Lu and the vulpe Remy and Granda Adder, a ghost. In fact we get more of everyone’s history, the Adders, Jack’s, and more. It’s wonderful, it’s fascinating and it makes the reader want to learn even more. “Who knows?” Jack said. I gritted my teeth and pulled over into the road the giant letter A straddled. Oh, it did say art. Huh. “Okay. Simon, Lu, you look young and college-ish, go get directions.” We appeared to be on a college campus — an art school given the giant sign and random pieces of modern sculpture. The two gave me a look. “Sure thing, boss,” Simon replied. “Come on, Lu.” They got out of the van and started for the largest, closest building. It was concrete, modern, and possibly the ugliest piece of construction I’d ever seen. I looked away before it burned into my memory. There were two churches within sight, and a few more ugly concrete and glass buildings. In case you were wondering, here the giant A they were talking about is spot on and accurate in every detail. I loved this aspect of The Hellfire Legacy and appreciated the richness of detail the authors adds to each scenery change. And finally, the thing that really puts me over the edge, a cliffhanger, is missing here. The ending is fulfilling and yet leaves open the possibility of more fun and quixotic adventures to come. I mean, he made a deal with a leprechaun for God’s sake. Who does that? Hopefully we will find out how that whopper of a mistake gets resolved in a future story.